Say Hello to the leak-proof, tough-as-nails, carry-the-day soft cooler. Around here, we call it the hopper flip 12. Like the original hopper, the hopper flip 12 can withstand serious abuse in the field, even with everyday use. Its wide-mouth opening makes for easy loading and access to your food and drinks. Plus, its compact, cubed body allows for ultimate portability, never slowing you down. It's the only personal cooler that's game for full days in the tree stand, early mornings in the duck boat, or afternoons on the water. Mother Nature wants you to make the most of your time outdoors and pack light for the day ahead. Good thing we made the Hopper Flip. Like the original Hopper, the Hopper Flip will keep ice for days and can withstand serious abuse in the field - it's game for full days in the tree stand or early mornings in the duck boat. Store: Chennies Inc. 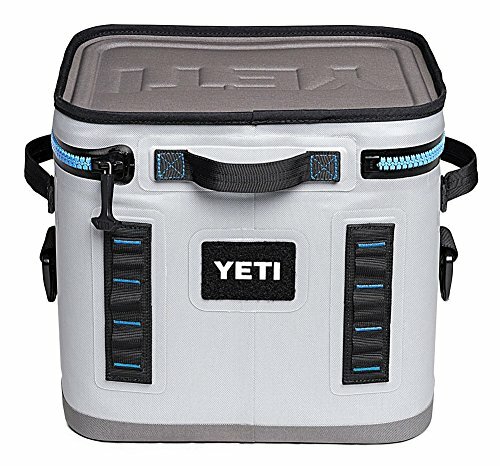 Condition: Brand New Price: $319.07 Total Price: $319.07 Buy It from Chennies Inc.
YETI Hopper FLIP 12 can GRAY Soft Side Cooler BRAND NEW!!! + FREE SHIPPING!!! 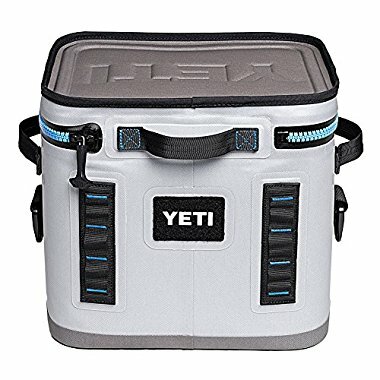 Find similar products to the YETI Hopper FLIP 12 can GRAY Soft Side Cooler BRAND NEW!!! + FREE SHIPPING!! !